The new Australian brand 100MPH and the Return of the Cafe Racers site teamed up for the release of their new store. 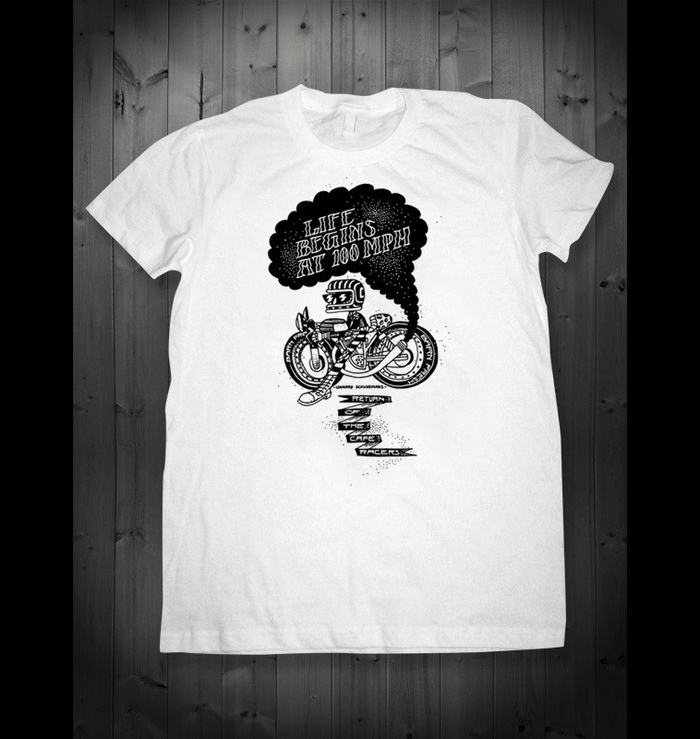 and me the Barn Fresh dude to design an exclusive range of t-shirts and hoodies. 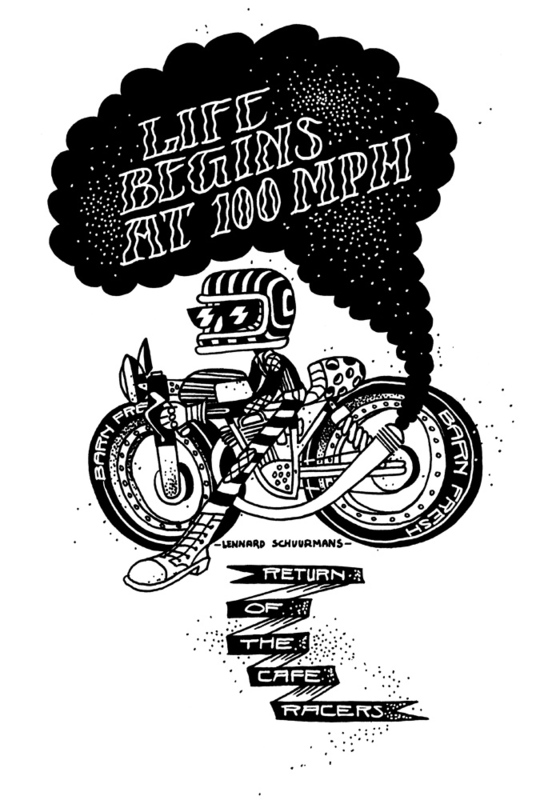 This “Life Begins At 100MPH” is the Barn Fresh contribution.